I wanted to knit up a quick gift to include in a gift exchange at work. I turned to Ravelry and found the perfect thing--coffee cozies! 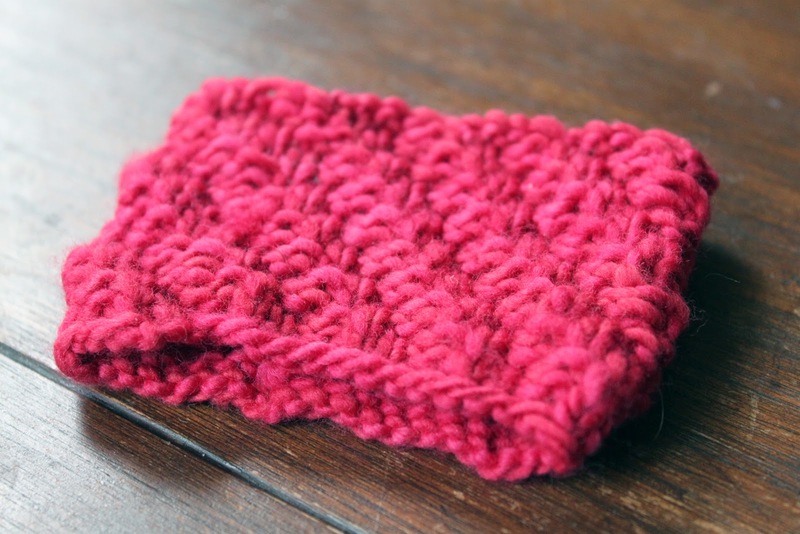 I only needed one, but why stop with one cozy when you can make a several variations? 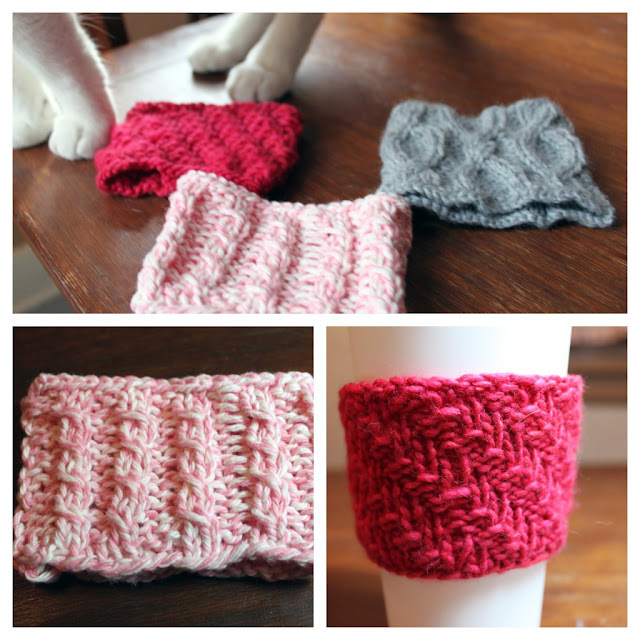 Using three separate (all free) patterns I found on Ravelry, I quickly knit up three very different versions of coffee cozies. I am giving away the gray cable cozy because it seemed the most Christmasy to me. 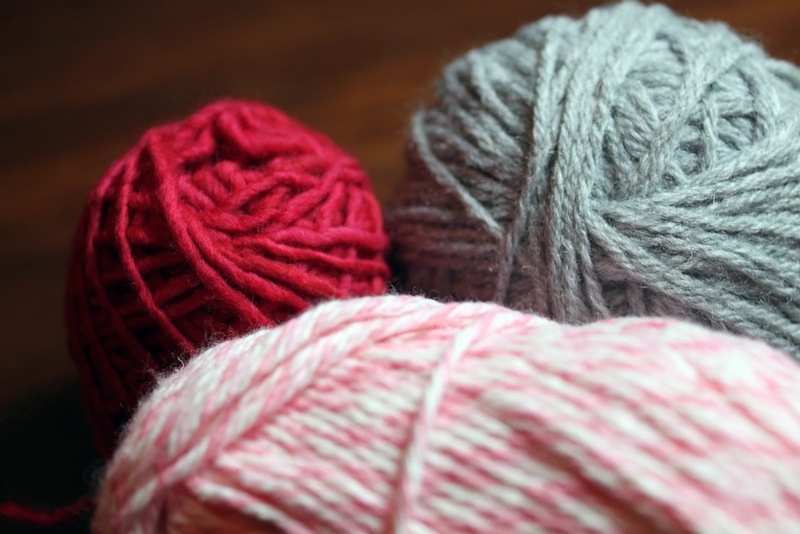 Check out all the versions and afterwards, maybe you'll be inspired enough to knit yourself (or someone you love) a cozy. As always, Peanut was more than ready to assist along the way. 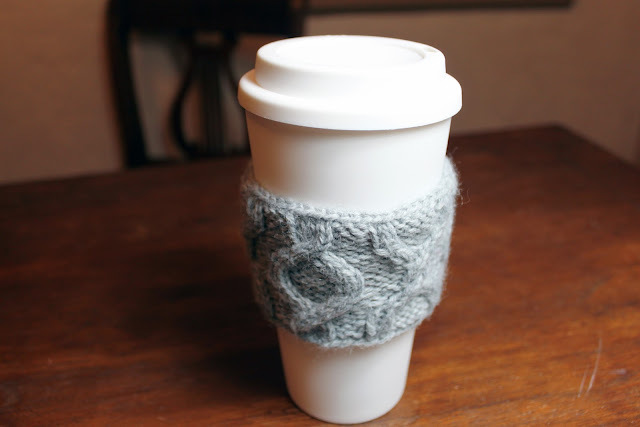 Just think, if you start using your handmade cozy, you won't be throwing away all those disposable coffee sleeves. 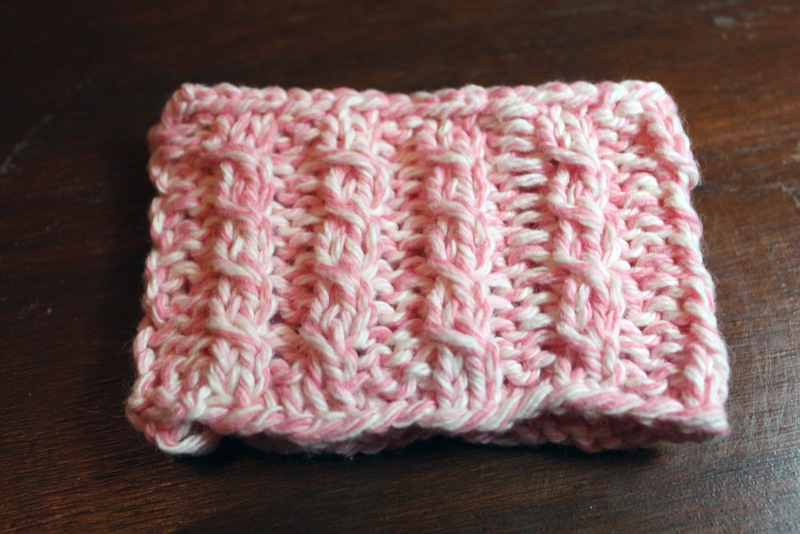 Also, let's be honest, these cozies feel a lot nicer to hold onto than some piece of cardboard. Right? Right. Thanks Heather. That's a good idea for stocking stuffers. 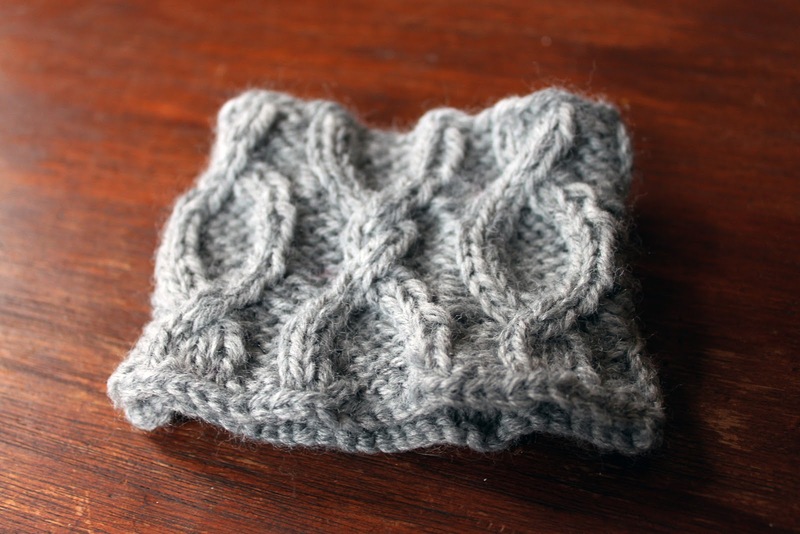 Maybe in 2013 you can learn to knit! Merry Christmas to you and your black and white feline as well!